My friend Devon Valenti and I were discussing the benefits of smartphone GPS applications. She has a special interest in them as she is marketing manager for ALK Technologies which manufactures CoPilot Live, a smartphone GPS navigation application; I have a vested interest in her success since she is my client. We both share an intense love of maps and getting places on time, and -as you know- I'm fascinated with the customer experience. Smartphones - because of applications - represent intriguing devices. We've only just begun to see how they will change how we do business, experience retail, resolve customer service issues, navigate through our environments and interact with others, among other things. Although the latest news reports that Android devices are picking up steam per a recent Comscore report, the iPhone has so far captured the imagination of many users. Call it Apple magic, intuitive design, a focus on simplifying the mobile experience... In any case, iPhones and iPads are in the news and the public's eye. Cool Infographics captures some user stats in Apple iPhone Statistics 2010 infographic video. Unfortunately, the data zooms by so fast, it's hard to capture it all to digest fully, but it's impressive in its scope. iPhone User Statistics from 2/27/10 extracts several cool charts from AdMob Mobile Metrics Jan 2010 which looks at both Android and iPhone/pad/touch usage. Android users skew male (78%) whereas the other devices have similar gender distribution, with just under half being female (see page 5). Yes, men are slightly more mobile, but given women's affinity for networks and the ease of purchasing and installing iApps, I would be really surprised if the gender distribution didn't change further to favor women. Why? because the more relevant usefulness smartphone apps offer, the more women will adopt them to help simplify their lives, organize them, get them to places on time, entertain them, make shopping easier and help them connect with important constituents. 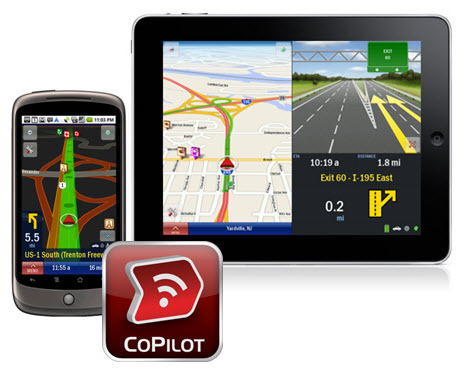 GPS devices are a great example of this evolution that we're in the midst of. Traditionally, GPS devices have been guy toys. Cool, useful, not necessarily intuitive, expensive... I first remember seeing them used by certain maverick drivers from the car service I used to get to the airport. Then car rental companies started offering them as add-ons. I’ve also noticed them “in-dash” – i.e., integrated into specific car dashboards. Lately, they've become much more mainstream and I routinely notice city taxi drivers using them. With GPS functionality being merged with smartphones - and iPhones in particular via apps - I believe that GPS navigation is about to become a woman's best friend and most-critical-app to have readily available. Do you use a GPS? Is it a standalone model or is it on a smartphone? How has it been most useful to you? And, then, let me know what you think about smartphone apps, GPS and how you think they will affect the customer experience. Happy First Days of Fall! Here is the 9/24/10 issue of Retail Experience in the News... recapping the latest articles and links shared on Twitter with the #retailexp hashtag this past week. I'm really enjoying the range of retail experience ideas that I'm coming across. I love the creativity and the willingness to experiment, not just in traditional terms in-store, but also by integrating the offline experience with possibilities online. One of the benefits of these challenging times! Lots of valuable #retailexp advice in this @retexperience article http://ow.ly/2GDvs Is Recession over for you? RT @DrewMcLellan: Marketing tip #71: Upsell with the choice of 3 http://bit.ly/cIZx5l CB: relevant to #retailexp, too! From food truck to fashion truck: taking fashion on the road! http://lat.ms/9dNykr Talk about mobile #retailexp! During our SoHo retail experience tour in June, David Polinchock suggested that we go through the Burton Snowboard store. He assured me that the Cold Room was not to be missed! The Cold Room lives up to its reputation... cold! Very cold! See the photo with "cold room" above the door? Notice the door? Doesn't it remind you of a door to a walk-in refrigerator? Picture a sauna at the gym. Make it bigger and remove the lava stone cooking contraption and the second tier of benches. You get the picture. When you think of the products that Burton sells - i.e., for cold weather activities - the Cold Room makes brilliant sense. Plus, it's a conversation piece and a terrific way to get store visitors and customers engaged with the products themselves and in talking about the activities that Burton products enable. This from New Jersey Skiing Historian, Elizabeth Holste, who contributed New Jersey, The Skiing State: History & Details. What a way to add to the experience - as does the Cold Room! As you enter the store, you'll notice a board with snow related information - domestically and internationally. "It's always snowing somewhere", right? Just not in SoHo in June. Burton's online presence is intense and goes beyond gear. You can meet the 2011 Burton Team. Find out about Events and learn about the Company. Locate a Store and join The Community. Burton is on Twitter, Facebook and YouTube. I look forward to returning to the Burton store in colder weather when I anticipate experiencing more of the online energy and activity in-store. For those of you with firsthand snowboarding and Burton knowledge, I'd love to hear your impressions. Here is the 9/17/10 issue of Retail Experience in the News... recapping the latest articles and links shared on Twitter with the #retailexp hashtag this past week. Lots of intriguing ideas in the Retail Experience Ideas section and definite wisdom in the Customer Service section! Restoration Hardware claims to be reinvented, remodeled, reborn w/ new #retailexp http://bit.ly/cViTLw - Comments? 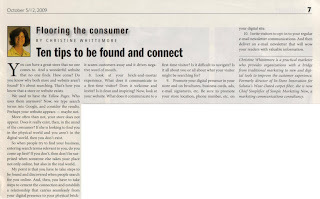 This article about ensuring that your retail experience can be found online as well as in-store appeared in the October 5/12, 2009 issue of Floor Covering Weekly. You can have a great store that no one comes to. And a wonderful website that no one finds. How come? Do you know why both store and website aren’t found? It’s about searching. That’s how you know that a store or website exists. We used to have the Yellow Pages. Who uses them anymore? Now, we type search terms into Google, and consider the results. Perhaps your website appears – maybe not. More often than not, your store does not appear. Does it really exist, then, in the mind of the consumer? If she is looking to find you in the physical world and you aren’t there in the digital world, then you don’t exist. So when people try to find your business, entering search terms relevant to you, do you come up first? If you don’t, then don’t be surprised when someone else takes your place not only online, but also in the REAL world. My point is that you have to take steps to be found and discovered when people search for you online. And, then, you have to take steps to cement the connection and establish a relationship that carries seamlessly from your digital presence to your physical brick-and-mortar presence and back again. 1. Eliminate your online flash applications. 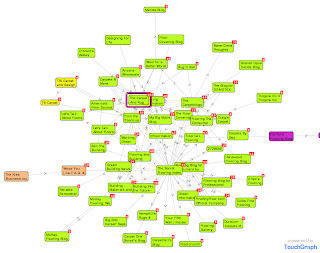 Content within a flash application is invisible to search engines. If you can’t, make them as unobtrusive as possible. Don’t have your content within that flash application. 2. Focus on content, specifically relevant, informative, and unbiased content that has your customers’ benefit at heart. 3. Make sure your relevant keywords – the ones that people would search – appear consistently in your content. 4. Start a blog and post frequently, consistently and relevantly about your business, your presence in the marketplace, and how you connect with your community. Tell your story and be genuine in sharing valuable information. 5. Make all of your content unique to you. That means don’t copy it from another site; don’t have the same content on your website that another website carries. Make it totally relevant to you and your geographic location. Tell your story. 6. Listen. Listen some more. Listen in your store. Listen to what your frontline employees say about your customers. Listen to what’s happening in your community. Figure out how to be relevant to what you hear. Listen online with freely available tools like Google alerts and Google Analytics. Then, address what you hear via your blog and web and in-store via your sales associates and marketing tools. 7. Forget the hard sell. Forget about it within your store; don’t dare do it online. The hard sell prevents you from connecting; it scares customers away and it drives negative word-of-mouth. 8. Look at your brick-and-mortar experience. What does it communicate to a first time visitor? Does it welcome and invite? Is it clean and inspiring? Now, look at your website. What does it communicate to a first time visitor? Is it difficult to navigate? Is it all about you or all about what your visitor might be searching for? 9. Promote your digital presence in your store and on brochures, business cards, ads, email signatures, etc. Be sure to promote your store location, phone number, etc. on your digital site. 10. Invite visitors to opt-in to your regular email newsletter communications. And then deliver an email newsletter that will wow your readers with the valuable information it contains. Here is the 9/10/10 issue of Retail Experience in the News... recapping the latest articles and links shared on Twitter with the #retailexp hashtag this past week. Although it's been a relatively short week, I was intrigued by the retail experience and the integrating offline/online ideas that surfaced. Rethinking the department store cosmetics #retailexp http://bit.ly/bDh73O More transparency, self-service. 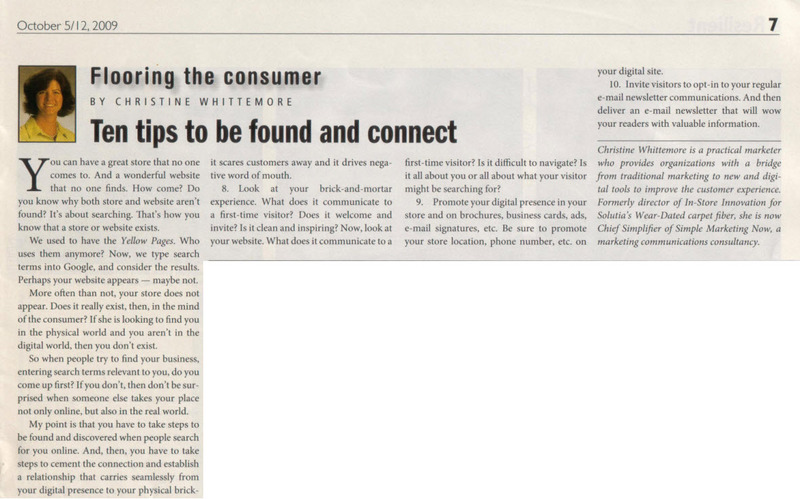 Mediabrands' John Ross talks about shopper marketing & #retailexp in digital age http://bit.ly/bTMecc Lots of gems in here. I had never been to lululemon athletica. However, David Polinchock, my retail experience partner in crime who is passionate about the notion of 'oneline', insisted that we visit while in SoHo during our retail experience tour. I'm so glad we did! The SoHo lululemon store was a feast for the eyes: delicious colors, interesting juxtapositions, and whimsical sections filled with intense yet relevant information. Take these clipboards on the wall. As you entered the store, they filled a section of wall immediately on the right-hand side. David pointed out that each clipboard represented information related to an individual store employee. Note the photos. Each clipboard captured an empolyee's 5 and 10 year goals. David and I spoke with a store associate who told us about her goals. In fact, you - as members of the lululemon community - are encouraged to set your own goals. You see, lululemon isn't just a store selling clothes. It's a place that is: "supportive, fashionable, empowering". Here's their blogpost on welcome to goal week. By the way, the "supportive, fashionable, empowering" quote comes from a recent article titled Health & happiness from the Charlotte Observer. The article observes how lululemon, an experiential brand that successfully integrates the in-store and online experience, Charlotte store staff "began fanning out to make connections... They began and continue enthusiastically visiting yoga and Pilates classes and other active groups and events across the area, though not to practice heavy-handed salesmanship" but rather to talk culture and develop community. Although lululemon athletica, per its website, specializes in yoga-inspired athletic apparel, both store and website go beyond apparel to embrace community. David pointed out to me that the store display units were on wheels. The reason: on Saturdays, the store offers a free yoga class at 10am. For more information, check out yoga info 101 with details on the different types of yoga offered and yoga studios in the neighborhood. I found a kiosk [pictured here on the right] with brochures, information, contact information, etc. relating to the community in which this SoHo store operates. Another interesting program is that of community ambassadors "unique individuals in our store communities who embody the lululemon lifestyle and live our culture." As described in the Charlotte Observer article, "...brand ambassadors ... receive a gift certificate for clothing and can regularly teach at the showroom in exchange for giving the company feedback on products." The benefit: more business for ambassadors and increased awareness of lululemon. As you can see from these photos here, the store is visually engaging. Take a look at this Design Feedback forum board where store visitors can share feedback on the products they've tried out. No surprise, you can also share product feedback online. 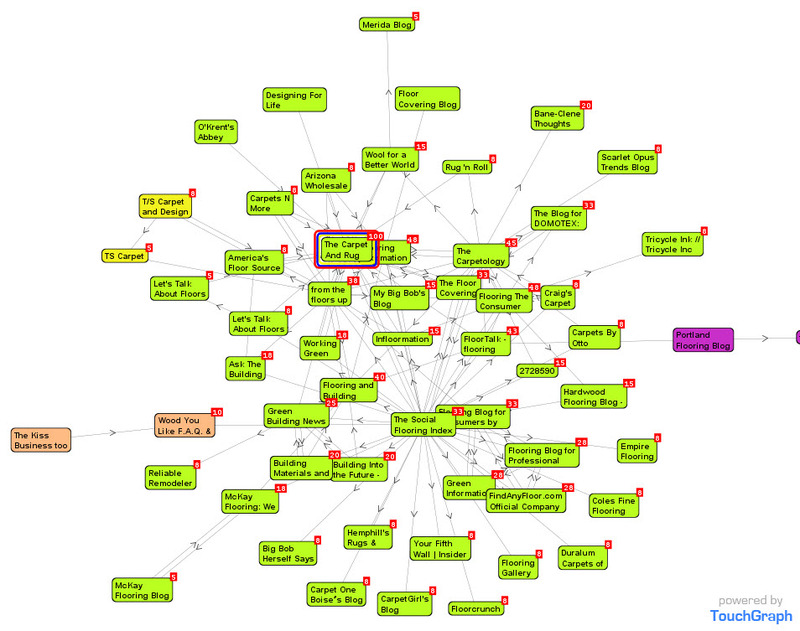 As Bruce Sanders from RIMtailing noted in his post titled Offer Neatness to Creative Shoppers, the overall store layout conveys a sense of friendliness. In addition to its website, and blog, lululemon posts photos to Flickr. Images inspire [e.g., Imagine Running to Ethiopia; love your body], capture community moments [e.g., the 2010 lululemon Ambassador Summit] or show products in action [e.g., Dads Don't Stink]. lululemon lab window displays - the result of a collaborative project with Emily Carr University of Art & Design. In thinking over the lululemon athletica retail experience, I can't help but admire how well integrated all of the in-store and online elements are. I'm also reminded of other organizations I admire, Zappos, Fiskars with the Fiskateers Brand Ambassadors and Trader Joe's. In a recent post titled Be a marketing specialist not a generalist, Joe Pulizzi refers to Higher Purpose Content Marketing. lululemon athletica strikes me as embodying higher purpose retailing. Wouldn't it be amazing if more retailers could create high purpose retail experiences? Happy Labor Day Weekend to you! Here is the 9/3/10 issue of Retail Experience in the News... recapping the latest articles and links shared on Twitter with the #retailexp hashtag this past week. By the way, isn't it intriguing how the Mad Men phenomenon goes hand-in-hand with retro retail experiences, second-hand stores and repurposing not just with fashion but also video games? Interesting the concept of institutionalizing trade-ins 4 video games http://bit.ly/chk3T4 Possible #retailexp for other categories? Branded Pop-Tart experience in Times Square generating social media interaction. http://bit.ly/cM5RdY H2 translate to other #retailexp? Brilliant melding of online & offline inventory at Nordstrom http://nyti.ms/9UTrAk Best of both #retailexp worlds! Here follows the August 2010 update from Simple Marketing Now with posts categorized into Social Media Marketing Resources and Simple Marketing News. I call your attention to my latest Social Flooring Index update which makes use of an outstanding analysis tool from eCairn Conversation. Please do check it out and let me know what you think. The biggest news for August 2010 from Simple Marketing Now had to do with the launch of my latest Social Flooring Blog Index: Press Release: Social Flooring Index Tracks Flooring Social Media Conversations which showcases Analyzing Social Media With eCairn Conversation. The graphic below gives you a taste for the project. If you know of flooring blogs that are missing from the analysis, please do let me know. looks at how express bus service has been reinvented. If bus travel can do so, so can other industries. Don't you think? Fellow Columbia Business School alum Brad Jobling shares perspective On Social Media and Columbia Department of Surgery. Digital Visibility: The Reason Behind Content Marketing has as its premise an advertisement that is over 50 years old. It is spot on. Do you agree? In case you are grappling with SEO, here's my SEO Primer: Nurturing Your Online Digital Visibility. 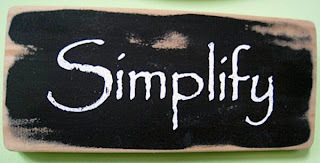 And a touch of Simple inspiration: The SIMPLE Marketing Now Framework. Finally, here are the latest links to articles and news about practical marketing on Twitter, coded #PracticalMktr: Practical Simple Marketing In The News 8/31/10 and Practical Simple Marketing In The News II.